It is well to remember that, at a singular level, racing lives on secrecy. Don’t mistake it for chicanery: it’s just part of the game. The only way the mettle of a horse can be proven is in competition, on the racetrack. Every step taken in the heat of racing is recorded somewhere and can be referenced with ease. Where professional football holds secret practice sessions and athletes’ injuries are nursed with unannounced remedies, in racing, workouts are held in public, medication lists are published, and the industry attempts to make known every possible fact that might affect a race’s outcome. 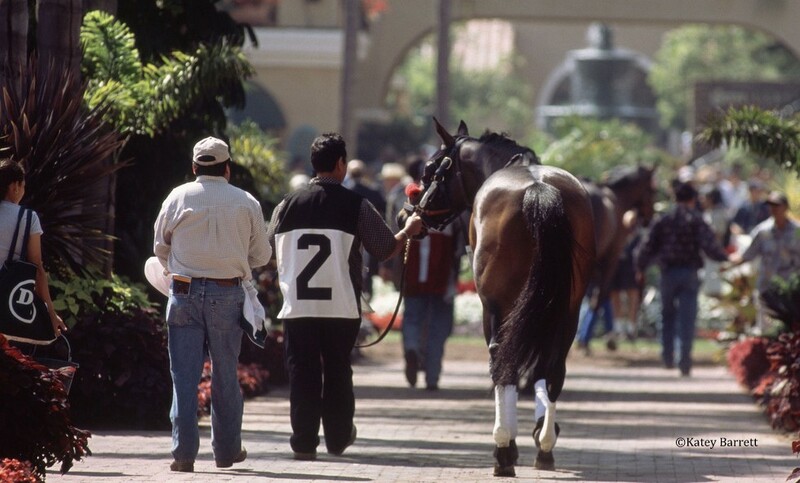 The wonder of thoroughbred racing derives from the fact that the only existing unknown is who the winner will be. So-called insiders lose as often as they win. So where’s the secrecy? The quantitative difference between the best and the most common horses boil down to a matter of two seconds. If some magical formula can shave two seconds off the racing time of a horse, it can move into racing’s stratosphere. Add two seconds and you can welcome the steed to racing’s poorest ghetto. Which way the horse will go in any given race is the secret that all racetrackers believe they alone know. In part, it is a secret held in order to profit from wagering. For the owner, each race changes the immediate value of the horse, thus its win potential is kept shrouded. Where economics rule, rather than emotion, maintaining a horse’s value is a delicate balancing act in which the decision-makers in the horse’s life must juggle ability versus potential competition. Racing’s internal mystique is keyed by this delicate decision. Secrecy is part of the game, just as bluffing is part of Poker. The “act” might consist of something so simple (and subtle) as placing elaborate bandages on the forelegs of a perfectly sound horse about to run in a claiming race priced lower than its true class… but occasionally, a canny veteran might try a more elaborate “secrecy coup.” For example, a trainer who has entered a horse in a claiming race whispers to the stable hand of a competing trainer who is likely to claim the horse, “Listen, if your guy claims my horse, I’ll give you a hundred bucks.” The whispering trainer gambles that the stable hand will go to his trainer and report the offer. The intended result is that the competing stable will believe that the whispering trainer is trying to unload an unworthy steed, and the word will spread with drumhead speed through the track, thus ensuring the whispering trainer that no one will claim his truly worthy steed, whom he may have dropped in class for this race to get a better shot at a purse. Sometimes the ruses work; then again, sometimes you and your trainer will lose a horse you really didn’t want to let go. Never mind: you’ll probably have another chance to claim back the horse in a future race. And, after all, people who own racehorses and people who train them are people who love a good gamble. The moral of the story: secrecy is part of the game, just as bluffing is part of poker. It takes a while before you will be able to separate truth from trash, but there’s never a way to be sure. Knowledge, therefore, is power. Next section… The Cal-Bred Advantage.